In any music, bass guitars provide the backbone upon which other instruments rest. Bass tone highlights the rhythm and grants music the power to inspire. Here looking for information about bass guitars? Then we have you covered. Contrary to what you might think, there’s a wide range of cheap bass guitar options under $500/$1000 to choose from. And these basses aren’t just junk. They’re quality stylish instruments armed with catchy electronics and incredible features. As a beginner bassist, it can be intimidating to know what to look for in a cheap bass guitar. To save you the trouble, we’ve prepared a comprehensive bass buying guide, just for you. We also reviewed a couple of basses that we’re sure. Why is Bass Important In Music? Although the body shape won’t make much of a difference in the sound of the music you’re playing, it will somewhat affect the tone. Hollow body: Hollowed bass bodies are, well, hollow like acoustic guitars and employ magnetic pickups just like their counterparts, solid bodies. And though hollow basses have the advantage of being lighter, the sound volume is limited because they feedback too easily. Solid body: Made out of solid wood and offer greater sustain than guitars with hollowed bodies. Besides, they also work well on sound amplification and are not affected much by feedback interference. Semi-hollow: These lie somewhere between solid and hollow bodies and are known for their warm tone and earthy resonant sound. What’s more, they’re lighter than the solid bodies and most bassists think they’re the best in versatility. True hollow: Although the rarest, true hollow body basses are entirely hollow and output sound similar to acoustic basses. The major benefit of these is that they allow sound amplification. At mid to high volume, true hollow bodies have high feedback interference issues. Bass guitars feature different body styles. 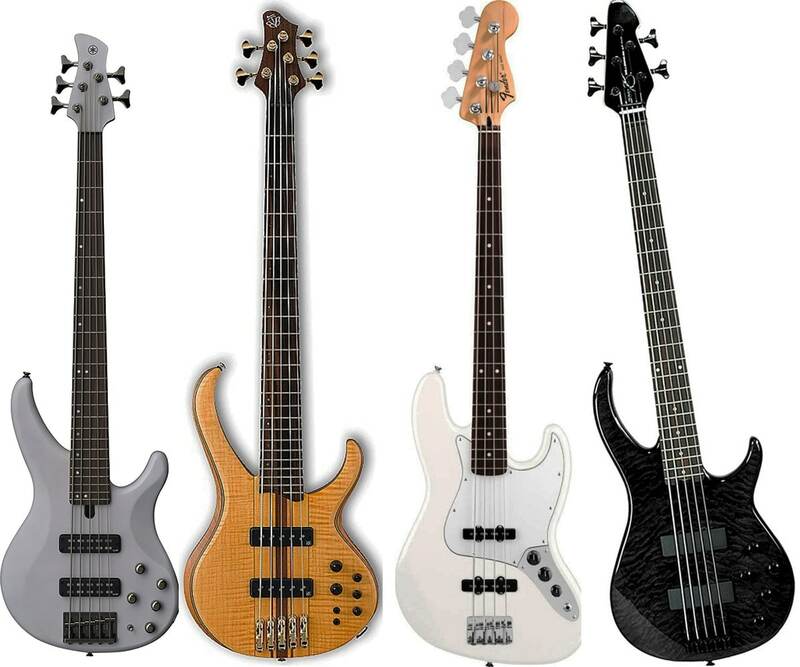 In this case, we’ll focus on three body styles – J Bass Style, T Bass, and Z Bass Style. 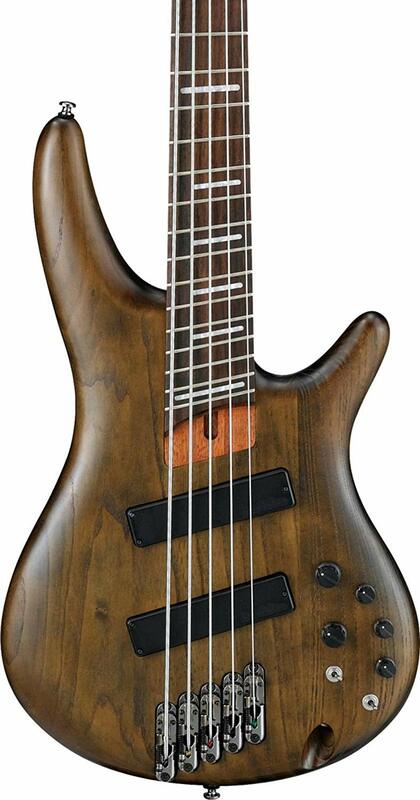 J Bass Style – It commands a sleek well-balanced design that wins the heart of many bassists. Guitars employing the J Bass Style feature an innovative contour on which to rest your arm for comfort as you play. They also feature a property called duped ‘tummy cut,’ that comes in handy when playing the instrument when seated. The cut makes it easy to rest it on your knee comfortably. T-Bass Style – Well, these types of guitars lack a balanced shape which makes them harder to handle. 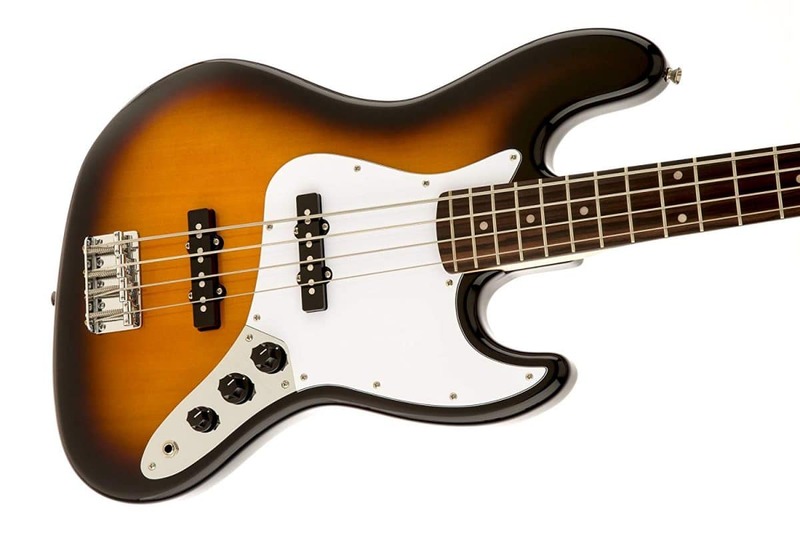 The major selling point for basses that adopt this style is that they can be hollow or semi-hollow and will give much more freedom concerning sonic qualities. Z-Bass Style – Known for its extreme shape – sharp edges and several bevels. The bevels are expertly placed so you can comfortably hold the bass in any position. The materials making up the body of a bass guitar also influence the sound it produces which means tonewood is an important aspect. Tonewoods comes in two main categories of hardwood and softwood. These woods come with varying levels of hardness and have varying impact on the tone and sound. They include hard maple, bubinga, zebrawood, alder, ash, and black walnut. The size of your hands will determine what neck type your bass should have. You’ll come across three types of bass necks, each named based on how it attaches to the body. Bolt-On Neck: This is the most popular and involves bolting the neck on the body with nuts keeping it stable so it doesn’t wiggle up and down. Basses with a greater overlap of body and the neck not only offer more stability but also ensure better string vibration and remarkable sustain. Set Neck: Here, a mortise or dovetail joint is used to join the neck to the bass guitar’s body. Although it can prove difficult to adjust, a bass guitar with this type of neck renders better resonance and sustain. Thru-Body Neck: You’ll find this design on high-end bass guitars. They’re crafted in such a way that the neck and the body are one piece from base to the tip. In these types of bass guitars, there’s absolutely no joint to water down the vibration, which grants them outstanding resonance and remarkable sustain. Bass guitars feature different types of wood for their necks and the wood type determines the sound and tone quality. Some basses use the same wood for the body and the neck while some used different woods for each section. There are those basses that use softwood, while others used hardwood for the neck. Most electric bass guitars use hard maple. Ebony takes the second place. Bocote, Bubinga, bloodwood and Goncalo Alves will also feature. Traditionally, bass guitars are four string instruments, but five strings and six strings bass guitars are also common. If you’re a starter, then it’s best to begin with a 4 string bass guitar as the higher ones can be hard to get used to. But it’s still important to point out at this point that the music genre you’re into might require an extra string or two to sound better even if you’re a beginner. A four string bass guitar is adequate for most music styles and since it has a neck smaller than a five or six string bass guitar, learning is obviously easier. Five string basses feature an extra B string granting the instrument a deeper range. A five string bass will also have a wider neck than that of a four string bass. Roundwound: It’s the most popular bass guitar string. They involve an unsmoothed out metal wrapping around a core. Such strings will have ridges and will feel rough to the touch. And you guessed it right – they produce a broad array of frequencies. Roundwound strings bring out high-level frequencies resulting in vibrant, clear metallic sound that really stands out.There’s one major shortcoming, though. Roundwounds are uneven and rough which means they can be hard on the frets, fingerboard and even your fingers. Flatwound: Just like the roundwound, these strings are wrapped on the core but are smoothed out. 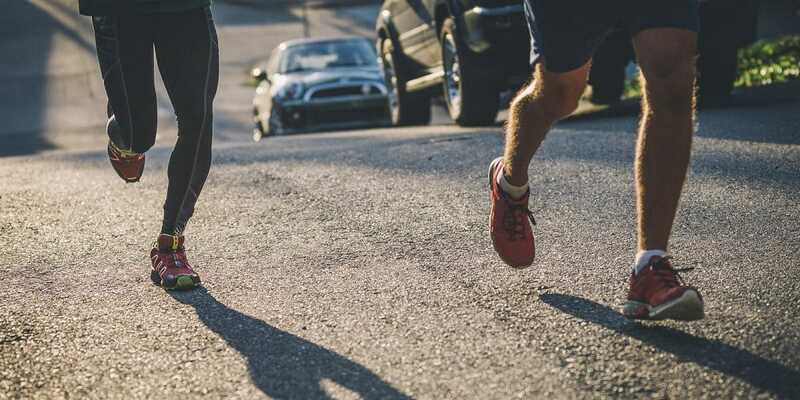 They are comfortable to play meaning you won’t develop blisters. Flatwound strings produce more of a dark, muted ‘dead’ sound. But with sufficient low-end thumb, they output much softer sound perfect for those bassists who are into rock and jazz.Two glaring demerits of the flatwound strings types are that they have lousy sustain and have a dynamic range smaller than that of the counterparts. Halfwound: Lying somewhere between flatwound and roundwound strings, halfwound strings are actually roundwound strings that have been tapered down so they’re smoother. They produce bright, warm sound and are relatively gentle on your fingers. Tapewound: These types of strings are mainly made from nylon but are relatively rare to come by. Usually found on acoustic basses, tapewound strings produce a dark and warm sound that doesn’t work particularly well when amplified. The string type and the materials from which they’re made have a huge impact on the sound and tone. Nickel-Plated Steel: Most basses use nickel-plated steel for their strings, usually in roundwound strings. 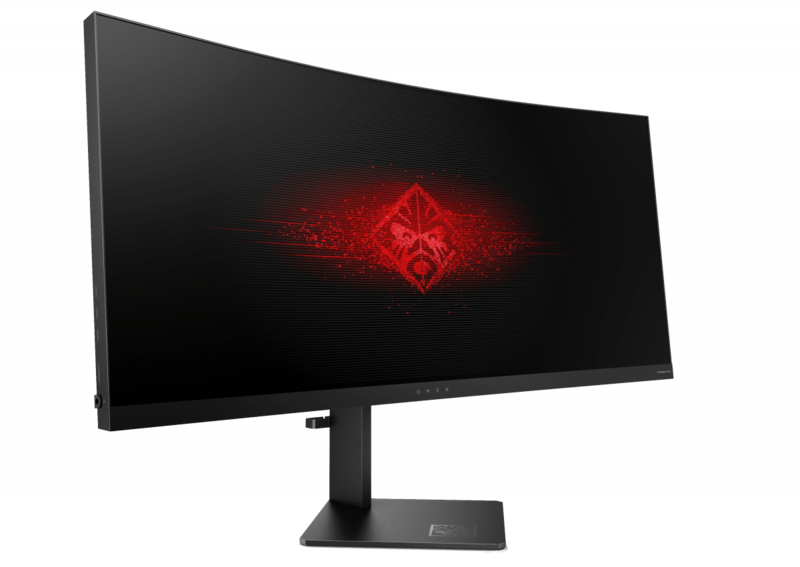 It strikes an excellent balance between sound brightness and warmth and works wonderfully for lots of genres. Pure nickel: Strings made from this material produce a warmer tone than the rest. The jazz and blues that require softer sounds are best played with bass guitars whose strings are made of pure nickel. Stainless Steel: Then hen there’s stainless steel, known for the brightest sound of all. Bassists who play funk, pop and metal will love basses made from this material. Essentially, this is how thin or thick a bass string is. String gauge affects the tension as well the sound it produces. The tension influences the ease of fretting the notes and playing the bass. Bass strings with thin gauges produce a bright sound with great sustain while strings with thick gauges deliver warmer and darker sound with less sustain. It’s the length between the nut (sandwiching the fretboard and the headstock) and the bridge i.e. the point where the strings are anchored at the base or tail end of the body. The scale length influences the tone and playability of any bass. Most basses come with scale lengths of 34” with the longer scale 35” (common in five strings and six strings basses) and the shortest scale at 30”. You can choose between two fretboard layouts – fretted or fretless. A bass guitar with a fretted neck features steel frets dividing or splitting each half-step of the scale. Even if you’re a beginner, it’s simple to locate the correct notes. A fretless bass will have no frets on the scale but a plain smooth wood. There’s this belief that fretless basses offer smoother and warmer sounds compared to the fretted basses but we’d say it really depends on your finger position. Fitted inside the bass neck is a metal truss rod which keeps the neck from either twisting or bending due to the extreme string tension. Bass guitars may have a truss rod with adjustments so as to straighten the neck if it twists or assumes a bow shape. This is the wider portion of the neck whereby the bass guitar strings end at turning pegs (turning machines). The turning machines adjust the tension of the bass strings which impacts the pitch. Bass guitars employ two types of pickups. Passive pickups render dynamic, warm and full tone, but offer less control over your instrument. Active pickups, on the other hand, produce bright and clear tones. Most modern bassists love them. Some think they’re too heretic. Basically, intonation seeks to establish if the bass notes play in tune as you progress up the neck. A bass whose distance between the frets is off the line, then notes will not be in tune as you move up the bass neck. A bass guitar featuring a coated fingerboard will produce sound with trembles but with longer sustain. Basses with an uncoated fingerboard output warmer and almost true-to-life sound. Why we like it: Scale length and string tension make it comfortable to play. The bass guitar aesthetics are on point. Let’s start with the scale length. Squire by Fender Vintage Modified has a scale length of 30-Inch. It means, therefore, that the distance between the frets is shorter than that of a larger scale instrument, which implies the jumps and skips are easier. This bass is, therefore, perfect for beginners and for those with small hands like children as well as experienced bassists. What’s more, the bass features a maple neck complete with a rosewood fingerboard and a really pretty black headstock. Its body is pure basswood. This bass has two types of pickups – single-coil Jazz Bass bridge pickup and the legendary style split single-coil Precision Bass middle pickup perfect for a clear cutting voice that goes well with Blues and Pop music. For each control pickup, there’s a volume knob. And then there’s a master control knob for the two pickups. That way, you can personalize the sound as you want. Longer scale basses have tighter or high-tension strings, which helps produces tighter and brighter sound. 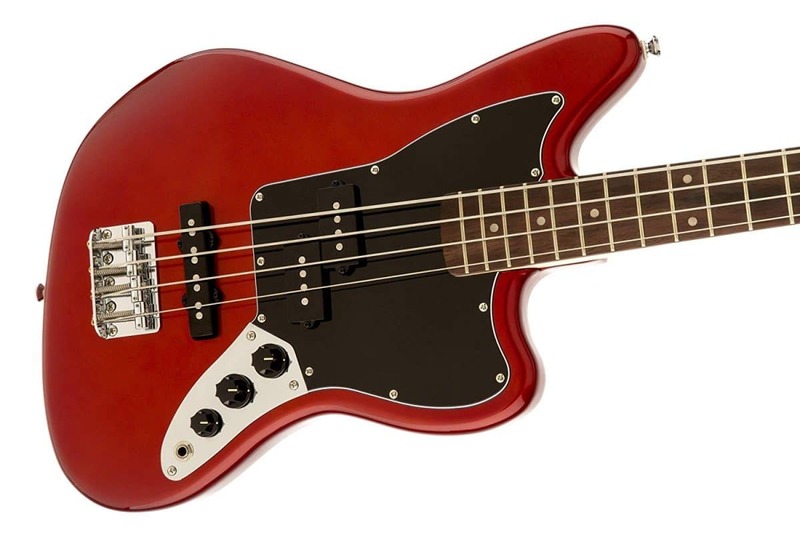 With a shorter scale bass as Squire Vintage Modified Jaguar, you can expect the string tension is much less, and vibrato and bends will be simple to make. It will produce bright but tighter sounds marked by lots of bends and vibrations. For beginners, this bass has the perfect scale length and string tension, which makes it a comfortable learning instrument. Why we like it: We love the fact that it’s compact and lightweight and features a small-sized neck which makes it comfortable to handle and get your hands around. With a scale length 28.6”, Ibanez GSRM20 Bass Guitar is a solid instrument especially for those with small hands, beginners or those who want to carry it anywhere. In playing guitar, comfort is everything. A bass guitar should feel like a part of or an extension of your body. Ibanez GSRM20 packs a compact lightweight body, with a slender neck meaning it’s pretty easy to get your hands around. The bass guitar uses dynamic passive pickup that delivers warm and full tone with the fat and punchy tone highlighting it. While you don’t have much control over the tone, it still leaves you the freedom to turn down the bass and treble frequencies. If you’re looking for a short scale length bass guitar that can render warm and full tone for your classics, then Ibanez GSRM20 won’t disappoint. Why we like it: The bass guitar has a mahogany neck, which will withstand high tension. It also gives access to higher notes. Featuring a semi-hollow body, Ibanez Artcore 6-String Electric Guitar is one of its kind. It offers a perfect balance between a solid body and a hollow body and is lighter than a solid body. The bass is built up with tonewoods carefully selected for their aesthetics and musicality making this baby a real beauty. With a slim mahogany set-in neck, you can expect it to withstand high tension without snapping for years to come. It also boasts infinity R pickups marked with dynamic, warm and balanced articulate tones. The ART-ST bridge guarantees tuning stability. Considering that fact, Artcore AM53TF is the instrument perfect for a wide variety of music genres. 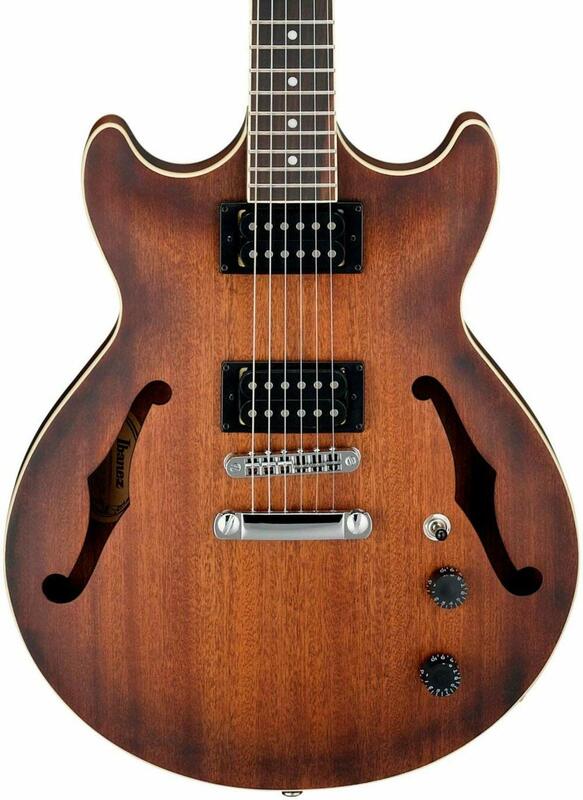 With its semi-hollow body, Ibanez Artcore AM53TF delivers warm, earthy resonant sound with fat tones and deep notes. The bass offers a high level of versatility in the tone which makes it perfect for most music genres. It’s has a humbucker pickup, basically containing two single coil pickups. A humbucker is mostly associated with heavy rock and metal. If you want easy access to higher notes and high-level versatility, then Ibanez Artcore AM53TF is your best bet. Why we like it: We like the fact that Dean Edge 1 5-String sports a contoured body, which makes it easy and comfortable to use. Packing a compact and lightweight basswood body, Dean Edge 1 5-String sports a contoured body style for your comfort. It rocks chrome hardware plus a deep glossy finish that makes the bass highly playable and pretty. The bass features a 34” maple material neck that’s sturdy, sleek and provides top-level playability. A custom-designed neck and heel coupled with an asymmetrical 4-bolt pattern offer continuous access throughout the 2-octave rosewood fretboard’s length. Dean Edge 1 5-String has soapbar pickups known for their clean low-ends that will always stand out in the thickest mix. The passive pickups will deliver dynamic, warm and full tone. Dean Edge 1 5-String comes with an added length which makes it a perfect bass for down tuning. Why we like it: O-Bass 4-String Electric Bass Guitar is an excellent instrument and we like the fact that it delivers excellent distinctive tones. O-Bass takes pride in its impeccable sleek lines and outstanding esthetics. It has a custom-wound split-coil pickup which delivers distinctive and superb sonic mojo complete with balanced bass response plus bold and defined mid-range. It has a maple ‘medium vintage’ neck with basswood material for the Okoume surprisingly lightweight body. The fretboard material is ebony. As such, you can be sure it’s a durable instrument set to take your rock n roll to another level. The 34-Inch scale length is the most standard and ensures the bass delivers above average tone and playability. And the nut size is 1.69” in width. Basically, this is your right size bass and your best ally in making your music rock. Regarding performance, O-Bass doesn’t disappoint. It has magnetic-single-coil pickup which helps deliver a warm earthy tone that will mark your music. It features split-coil humbucker complete with a master tone as well as volume controls that make playability much easier. O-Bass Electric Bass Guitar was crafted with much care and is a combination of what they call ‘beauty with brains’ and excellent performance. Why we like it: You’ll love the pickup volume control and the master control, which make it possible to customize the sound. Affinity Jazz Beginner Bass Guitar has a solid body design, which as you’ll find out offers excellent sustain to the sound. It has a short comfortable neck with superior construction that makes this bass a great instrument to purchase. 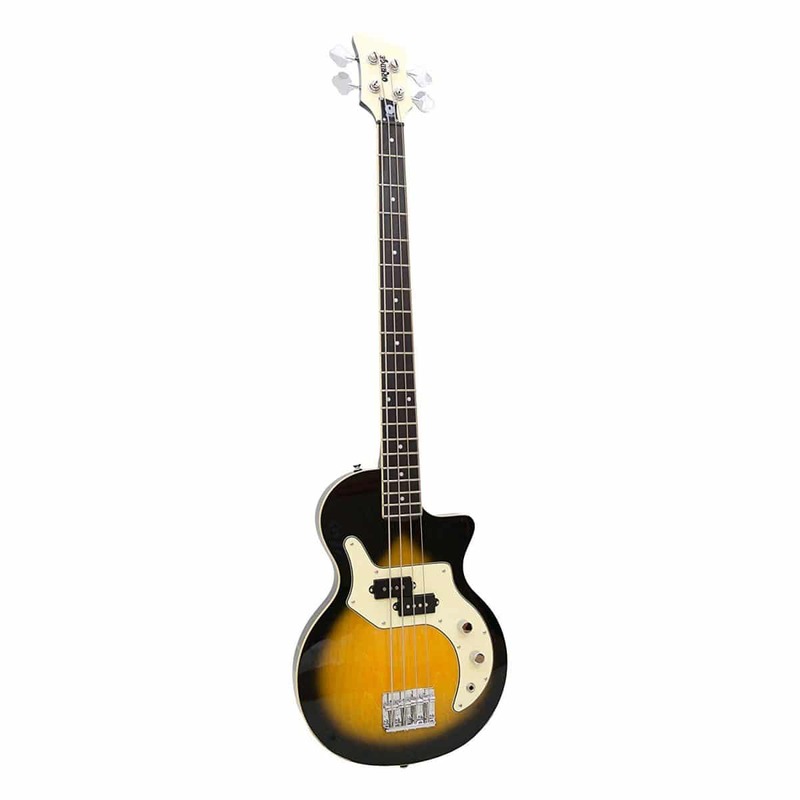 It has a scale length of 34” which is standard for bass guitars and perfect for practicing. The neck and bridge feature pickup volumes control as well as a master control that allows you to customize the sound to your preference. What’s more, the fingerboard housing the frets is made from rosewood, the body from alder and the neck from maple. All of these combine to give rise to a solid instrument that’ll withstand several years of use. With the two single-coil passive pickups which deliver a wide array of warm, clear-cutting classic and modern tones for your favorite music genre. Affinity Jazz Beginner Bass Guitar is a pretty quality instrument perfect for beginner bassists to run the ropes. Why we like it: The design is top-notch, the tone incredible. Performing with this will get you looking stylish. If you’re looking to upgrade to a professional musical instrument, then Fender Standard Precision Bass Guitar will come in handy. Featuring a tinted “C” shape neck, there’s no denying that this bass will make you appear classy and provide you with all-time comfort when playing your music. Positioned at the tone nob is a push-pull switch that divides the humbucking pickup coil giving rise to a single-coil chime. With the contemporary split single-coil Precision Bass Pickup, you’ll be in for an iconic electric bass tone. If you’re a rock and metal musician, then this bass will be your best companion. Fender Standard Precision Electric Bass Guitar is an excellent instrument for professional bassists serious about their art. Why we like it: New and professional bassists will appreciate the fact that this bass guitar combines a stylish vintage design and comfort. You’ve been playing bass for quite some time now and feel it’s a high time to upgrade to a professional instrument. After all, have a premium quality bass is the only way you can continue becoming a better bassist. We introduce you the Fender Standard Jazz Electric Bass Guitar, a bass designed for professionals like yourself. You’ll love that the instrument comes in many classic vintage colors. Featuring two contemporary style single coil jazz bass pickups, you can be guaranteed that this bass will deliver clear and articulate tones. Fender Standard Jazz Electric Bass Guitar sports a tinted “C” shape neck that brings to life a vintage style and ensures your comfort. Right out of the box, its stunning looks won’t go unnoticed. The brown finish on the body and the glossy maple neck will please you. Fender Standard Jazz Electric Bass Guitar has a single-coil pickup. As such, bassists, regardless of their experience level, can expect to enjoy a warm, clear tone for their music. Every aspect of the Fender Standard Jazz Electric Bass Guitar points out to a premium instrument for beginners and professionals alike. It delivers an outstandingly clear tone that must stand out in your music genre. Why we like it: It packs a lightweight design and has active pickups which ensure warmer and louder tones than basses with passive pickups. RAY34-NT Bass sports a lightweight swamp ash body that not only renders it adorable but also makes it comfortable to use. It has six bolt maple neck which makes it tough enough to withstand the rigors of everyday use by ardent bassists. Its bass bridge is specially crafted by Music Man. As you’ve already gathered, the bass bridge is positioned at the body where the strings anchor. RAY34-NT Bass Guitar uses active electronics. Active pickup uses a pre-amplifier powered by a battery. The amplifier not only allows you to boost but also cut the frequencies. Compared to the passive pickups, active pickups deliver louder tones. And with this bass, you can expect brighter and clear sounds. Unlike other bass guitars we’ve reviewed that come with passive pickups, the RAY34-NT bass has an active pickup. What that means is that you can expect warm, bright and clear tones. The pickups allow for tone amplification and that’s because they pick up less external noise and interferences. RAY34-NT bass is a quality instrument for bassists who’d like to upgrade. It produces warm, rich and bright tones that’ll definitely improve the sound of your music. Why we like it: We love that the scale length can expand, which as you very well know, enhances the sound and tone. This bass guitar has an ash body complete cutaway shape as well as a glossy black finish. Ibanez SRFF805 features varying fret to bridge distances, a property that aids in improving tonality making it sound much better. The multi-scaling technique helps give each of the bass guitar strings much better tension, which in turn, gives rise to a warm and open tone. Ibanez SRFF805 has a scale length of 34” usually on the G-string side and then elongates to 35.5” at the low B. It boasts a slim 5-piece Jatoba and Bubinga neck. A solid and reliable mono rail V-bridge guarantees impressive string isolation, intonation as well as vibration transference. The custom 3 band EQ provides excellent tonal variation. Ibanez SRFF805 5-String Multi-Scaling Bass Guitar has a passive pickup which delivers dynamic warm, full tones in your music. And with the unique multi-scaling technology used in crafting it, you can expect that the high string tension will deliver nothing but warm and bright sounds. Ibanez SRFF805 5-String Bass Guitar is a perfect instrument for those who can stand nothing but the best in a broad array of music styles. It’s possible you’re stuck between choosing a standard guitar and a bass, which is why we thought it wise to clear that out. Truth be told, guitars and bass guitars are not very different and it isn’t odd at all if you still think they’re one and to the same instrument. An electric guitar has six strings with the standard tuning being E-A-D-G-B-E. In this arrangement, the lowest string is usually tuned to the note E. The next note is A and so on and so forth. On the other hand, a bass guitar features four thicker strings and is usually larger than a guitar itself. While a bass guitar looks like a standard guitar, it knocks down two notes leaving E-A-D-C. That means it also has two fewer strings. Then there’s the difference in the pitch range of the instruments. Compared to a standard guitar, a bass guitar will play notes on a lower octave. Usually, the lowest note you’ll catch in music is a result of bass. If you learn to play either a bass guitar or a standard guitar, then it might be easy to switch between the two. The skills are transferable but you’ll still have some practice to do. Despite having two strings less, a bass guitar is not necessarily easier to play. It’s good to keep in mind that you’ll come across guitars and bass guitars with varied tunings and different variations. For instance, if you take a 7 strings guitar, then you should expect a bass with 5 strings. Science suggests that bass plays a significant role in music than people care to appreciate. And although bass will often sneak into the music background, it has a massive influence on the shape and structure that favorite song that a day can’t end without listening. It goes without saying then that that highlights why bassists are integral in any music. McMaster University researchers in Canada found out that our brains establish a song’s rhythm better if it occurs in lower tones. From the study, participants managed to spot errors far much better if they occurred at bass tone (lower tones). Clearly, that explains why bass lines dominate the songs’ background giving room for performances with high-pitched instruments. Bass also sets the foundation for harmony as well as the melody in music without which there couldn’t be any. Often times, the bass will define the chords that set any song’s melody in context. 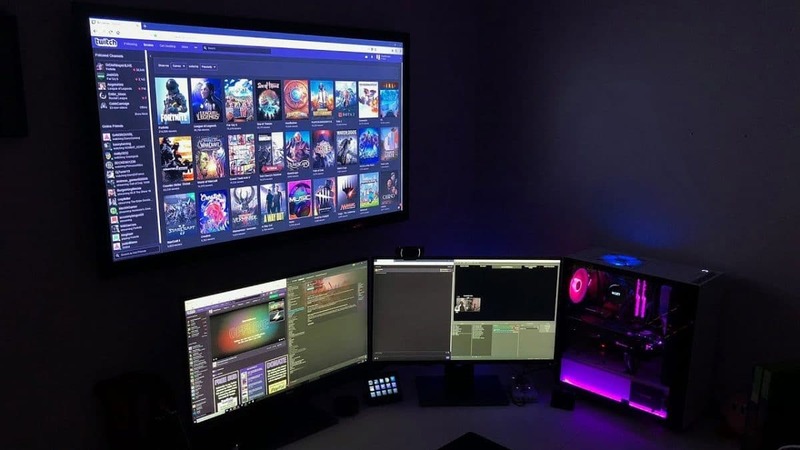 Another study at Northwestern University found out that music with heavy bass is more efficient as inspiring power among listeners and drawing in more fans. When voice and bass come together, then they set the stage for dominance. It doesn’t matter if you beginner, intermediate or pro bassists, science backs the role you play in music. And you should play your instrument knowing that you contribute so much to the musical texture. What music genre do you play? It’s only after you’ve determined your style that you should set out looking for a bass guitar for that particular genre. Then you can know the features you want in a bass. Suppose you’re a hip-hop bassist. Then you’ll be on the lookout for a 5 or even 6 strings guitar bass complete with roundwound strings plus active electronics. 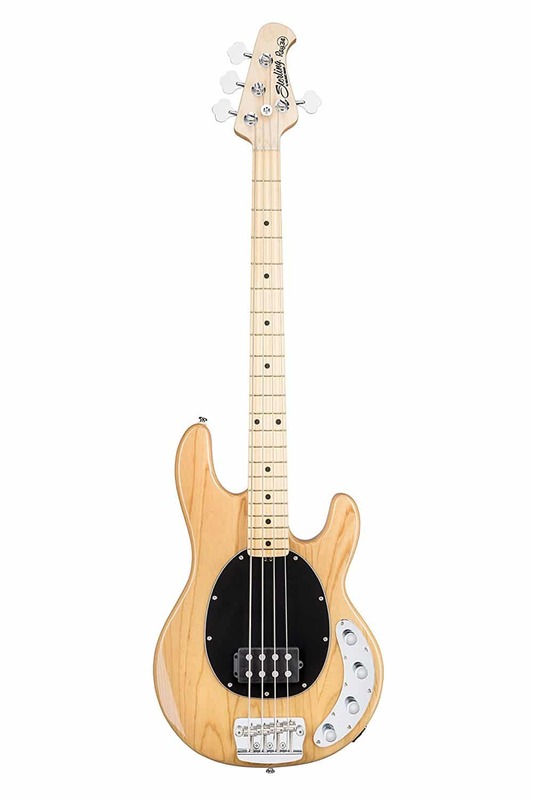 An artist in a different music genre will probably be looking for a short-scale bass with a hollow body and flatwounds. The rule of thumb? Know your style first. If you’re bassist planning to take your baby out for daily performances, then you’ll want a bass with excellent features and electronics, but lighter on the shoulders. Will the bass be resting in your bedroom or on the studio desk, then tonal versatility will be more of your concern than the weight. There are many types of bass guitars, but we’ll highlight on the four major ones – electric bass, acoustic bass, acoustic-electric bass, and semi-acoustic bass. Electric bass: These are the most common and they get the sound through pickups. It’s the pickups that play the function of transforming the vibrations emanating from the strings into an electric signal. Something really cool about electric bass guitars is that they offer lots of freedom. Depending on the amplifier you use to send out the sound, there’s a lot you can change from the volume, tone to the mix of your frequencies. Acoustic Bass: Usually output sound by sending the string vibrations into the paddles, which then relays the signals to the soundboard. The soundcard will them amplify the vibrations to create a sound. They have a hollow body which makes them a little tasking to play. But then they’re great because no sound amplification is required and they produce remarkably powerful sound. Acoustic-Electric Bass: It’s a hollow bass guitar with pickups and is lies somewhere between an acoustic bass and electric bass. This type of bass is the perfect instrument for the bassists who love to play acoustic but will need to amplify the sound when performing at shows. Semi-Acoustic: This a hollow one and features an inbuilt microphone which helps amplify the sound. Now the hollow body design brings to the table remarkable sonic qualities. As a beginner, you might find it a little difficult to work your way around this semi-acoustic bass. Bass guitars vary significantly in quality and price. Have you determined how much you want to spend? Sure, you’ll find sophisticated basses sporting better electronics, superior tonewoods, and the latest hardware. These ones are produces show-stopping sounds, last longer but don’t come cheaply. Fortunately, if you’re a beginner or intermediate bassists and are not prepared to spend much on a single instrument, then there are affordable, cheap bass guitars under $500/$1000. While the quality of the hardware and electronics may not be at their best, the sound and tone quality is still impressive. There’s no way you’ll learn or enjoy playing any bass guitar if it’s not comfortable to hold and play. An excellent bass should feel like an extension of your body. The body style and the neck profile will determine how comfortable it is using a particular instrument. Some bassists might find larger bodies cumbersome while others might be okay. There are those who’ll fret in the face of narrower or wider headstock. Or even thinner or thicker headstock. Choosing a bass guitar shouldn’t be hard. It begins with identifying your music genre and knowing how you plan to use it. After that, it will be easy to choose an instrument based on the type, the features it packs, tone, sound output, and how comfortable and easy it is to play. We hope you’ve identified a great bass guitar to buy at your budget.